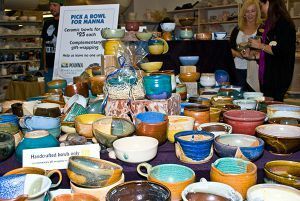 Manna Food Pantries is celebrating the 10th Anniversary of Pick A Bowl and Fill A Bowl on Friday, Sept. 22. The fundraising event will be held from 6PM – 8PM at Hartsell Arena/Ross Center on the Pensacola State College campus. 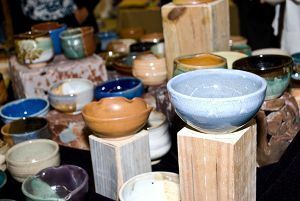 Tickets are only $30 and can be purchased online at www.MannaHelps.org. For each ticket sold, Manna will provide healthy food for a week for someone in need. 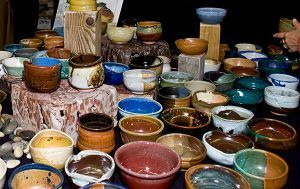 Each participant will receive a handmade bowl thrown by a local potter plus enjoy samplings of soup from over a dozen restaurants. 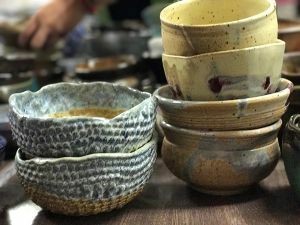 The evening will also include a silent auction featuring unique original works and music by local band Bring On The Benjamin’s. Participating restaurants include Classic City Catering, Four Seasons, Nancy’s Haute Affairs/Skopelos, Pot Roast & Pinot, and The Grand Marlin to name a few. 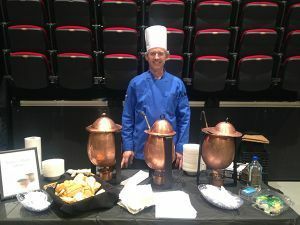 Local WEAR newscaster Bob Solarski will also be cooking up some delicious soup for the crowd. 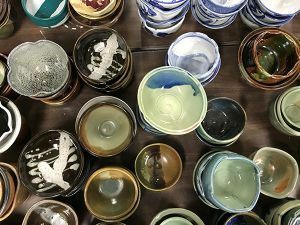 Artists from Pensacola State College and First City Art Center donate their time and talents throughout the year to create hundreds of bowls. This event could not take place without the generous donations from many financial and In Kind donors. In addition to PSC, special recognition goes to the other lead sponsors Studer Foundation and WEAR ABC 3. 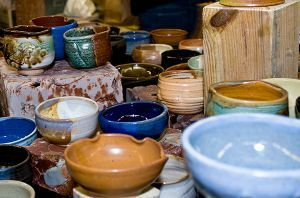 Be a part of a wonderful evening where the arts join Manna to help fight hunger in our community. For more information, visit www.MannaHelps.org. 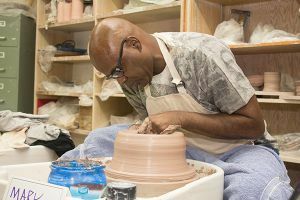 History of Event: Pick A Bowl & Fill A Bowl started in 2006 at Pensacola State College under the direction of Dona Usry, former Manna Guild Member and PSC Board Member; Krist Lien, District Department Head of the Visual Arts Department; Dr. Jim Martin, former PSC Vice President of Administration; and Bill Clover, Visual Arts Professor. 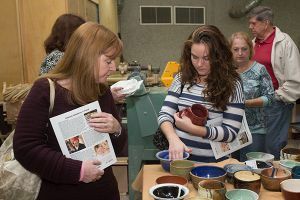 For the first two years, Pick A Bowl was called “Throw A Bowl,” and guests were invited to make their own bowls under the guidance of the Visual Arts Department. 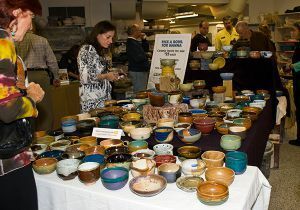 In 2008, the event changed to Pick A Bowl. 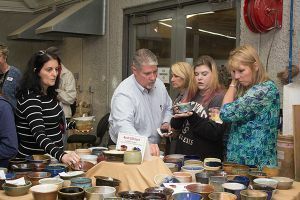 Since then, Professor Bill Clover, his students, other faculty members, and potters in the community have contributed thousands of hours and created thousands of bowls for the events each year. About Manna: Manna’s mission is to offer emergency food assistance, service the food-related needs of vulnerable populations, and engage the entire community in the fight against hunger.